I have had the pleasure of not only meeting Lisa in person (it was so much fun and we couldn't stop talking!) but she's also agreed to do an interview for me today! YAY! So let's hear what she had to say about writing, her main character, Jeremy, and life as an author! Welcome to The Cover Contessa, Lisa! So great to have you here! Tell us a little about how you came to be an author. Before I was a writer I was an artist. As a kid, writing was something that I did fairly well, but never took seriously. I was all about art. When I first graduated college, I had actually penned a “children’s’’’ book so I could have something to illustrate. I had no idea what genre it was, or what I was doing at all for that matter. So into the drawer it went. Years later, when my youngest child was obsessed with Harry Potter like every other kid at the time, I read the first three books out loud to her. Yes. Out loud. With a really bad British accent. By the time I finished reading the third book, I had a full-blown Harry Potter obsession and grabbed the next four books out of my kids’ hands as soon as they were released. Even before the series was finished, I had picked up a pen and started drafting the first book I’d actually ever finished. It is currently residing comfortably at the bottom of my closet next to the book I wrote in my early twenties, though my cousin Mark still insists he loved it. And now, five books later, here I am. What inspires you to write? Where do you get ideas? I don’t think my ideas come from any one place, but I can tell you that the process in which I formulate a premise is kind of the same way I do anything creative—I basically start with an “itch” —either a person, place or conflict. Then I have to flesh it out and create a viable plot. You know, the old adage—character + conflict = plot. It’s kind of like making a sculpture from clay then breathing life into it. It’s really the most exciting thing in the world and not all that different from the elaborate make believe games I used to play as a kid. You signed your book with Spencer Hill Press. What made you go with this particular publisher? Their enthusiasm, personal touch and boutique approach to publishing. And the fact they promised I could design my own covers if I had the appropriate skills. They’ve since hired me to do a number of their covers (which I will elaborate upon later in this interview). Also, I was really impressed with their author, Jennifer L. Armentrout, and her books. Her high praise was largely the reason I went with them and I have not regretted it for a split second. Your first book, Breaking Glass, is due out July 2013. Are you nervous about the world reading Jeremy’s story? Oddly, I’m not all nervous about people reading Jeremy’s story. I’m nervous about people NOT reading it. I love Jeremy—in a strange way I think of him as if he is a real person, happily living his life somewhere beyond the book. I feel that he needs people to read about him to truly live. I know it sounds strange, but it’s as though the book exists in realm of its own and I want to share it. If people don’t like it, I’ll deal with that. But I hope they do! Tell us a little about the psychological background that came along with writing this book and about anyone that might have inspired Jeremy’s character. First of all, major disclaimer: Jeremy is a closet drinker with a very deep psychological issue caused by an early childhood trauma. Jeremy bears ZERO relationship to myself, anyone in my family, or anyone I know for that matter. I am fortunate to have had no alcohol abuse in my family history. That being said, there is a history to Jeremy’s development. In order to bring the story to life, I wanted to create an unreliable narrator who was very likable and plausible, but avoided his pain by dwelling on his obsession with the girl he’d placed on a pedestal. That aspect of the story may be the only reality-based character trait, though even that is not based on any one individual. Rather, it’s just a tendency I’ve noted in teen boys—both in my own life and in my teen daughter’s (If it existed in my son’s teenaged head, I’m pretty sure he would never admit it—that trait of Jeremy’s to use humor to hide EVERYTHING is definitely inspired by him). I also needed a reason for Jeremy’s underlying angst. I was a little hard-pressed to explain why such a smart, athletic, and fairly well-liked kid would secretly drink himself into a stupor any chance he got. I ended up discussing this with my close friend, Deborah Cohen, MSW, who in one of her usual flashes of genius said this: If Jeremy had some early childhood trauma, he might suffer from post-traumatic stress disorder, especially if he tried to suppress his unresolved guilt over the event. He might have recurrent nightmares and relive the event. It would make sense that he might drink to self-medicate. “You should have his mother be dead, and her death be the cause of his terrors”, she said, and from that moment on, our dear Jeremy, with his night terrors, swoony romantic obsessions, his penchant for history trivia and his epic resolve to avoid admitting any of those feelings came fully formed into my head. Jeremy Glass was just there, whispering in my ear. You do a lot of cover designs and they are all so beautiful. Tell us a little about the cover of Breaking Glass and how it came about. As I mentioned earlier, one of the chief attractions of Spencer Hill Press was their willingness to allow me to design my own cover. It was much, much harder than I anticipated. Right away, Kate Kaynak and I got to work and I think I sent her about THIRTY failed attempts. In the end we were in slight disagreement. I asked my daughter and her friends to weigh in. The three girls (sixteen at the time—total target audience) all chose the current cover. They told me they were sick of the “usual face on the cover”, and so did my friend who is a bookseller. After designing BREAKING GLASS, Kate asked me to design the EXTRACTED cover as a trial run. I had an unbelievable blast with that. I consulted a best-selling cover designer friend (no name dropping) who has been my little pocket guru, and he gave me some tips. Then the commissions just started to roll in—from Spencer Hill Press to a number of Indie authors. What is your favorite thing to do when you are not writing? This may sound trite, but I love my job—at least the teaching part of it. I love going to the gym, sketching from nature, reading, seeing a really great film, a great dinner with friends, girl talk with my dearest oldest sister friends, and shooting the breeze with my incredibly awesome and wonderful mom. Oh—and babysitting our adorable grand-niece and nephew! Okay—gonna stop now, lest I bore you all. And did I mention shoe-shopping? Are you looking forward to BEA? What are you looking forward to most about this conference? Hanging out with all the amazing SHP authors, and the amazing Cover Contessa herself! 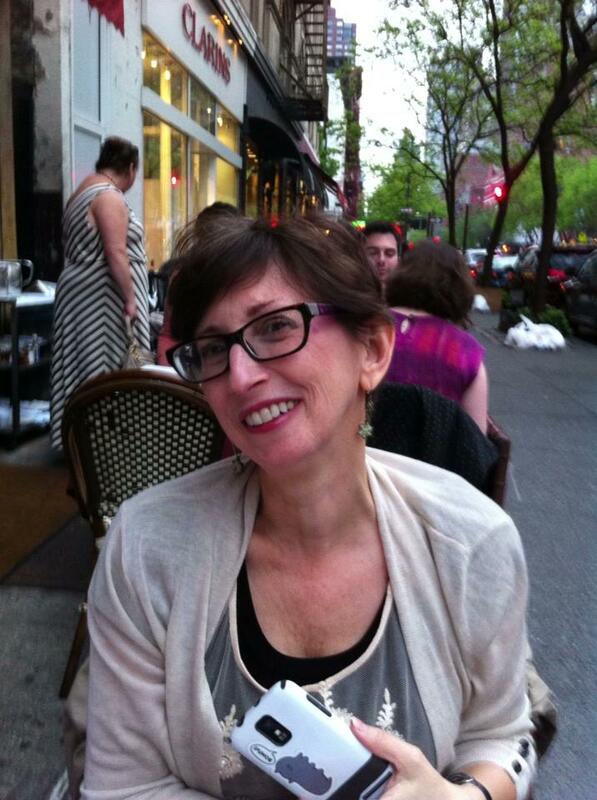 Also I am going to meet an author whose cover I designed, Susan Nadathur, who has become a good friend. Also, one of my former students and first BREAKING GLASS fan, Christian Santiago, is attending—so I’m going to enjoy seeing his eyes bug out when he sees all those books! Oh—and arc scavenging, of course. I’m going to plan better this time! Do you have any projects in the works for the near future? In May 2014, my book VISION is going to be released by SHP. It is the first in the Finder series and is quite a departure from BREAKING GLASS. SHP is also going to be releasing my urban fantasy trilogy, LIFE AND BETH, but nothing is firm yet. I am currently working on a BREAKING GLASS style murder mystery—except in this one there are no ghosts or paranormal occurences—the creepy is all based in the possible. It’s been really fun to work on—but I am SO busy these days I haven’t been as disciplined writing it as I would like. Tell us something quirky about you that we would never guess. I love the show Covert Affairs on the USA network and have a group of Twitter pals who convene when the show airs and comment throughout. I sit with my legs crossed (Indian style—I don’t know a more appropriate way to describe it) under me on almost any chair. I’d probably sit like that if I were having dinner with the Queen of England. I love a band called The Decemberists and was nuts over Broadway Musical SPRING AWAKENING. If it reopened, I’d go see it again. I am an only child. Thanks so much for that awesome interview, Lisa! Now, don't you want to read her book? Well, if you click on the link below, you can see a special preview of what's to come when it's released. And believe me, this is unlike any book preview you've ever seen before! Just click on the pictures and you'll get to see something most amazing! Scroll down to enter the giveaway via Rafflecopter! 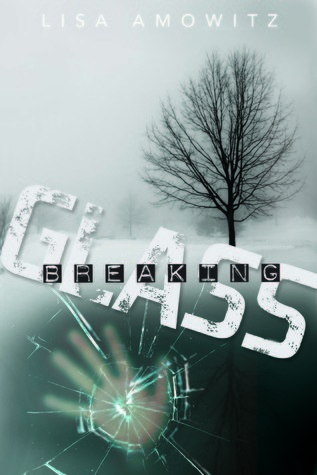 Guest Post: What inspired you to write Breaking Glass? And so, it begins! I'm so glad it's started with you! YAY!!! I can't wait to spread the word! And to see you! Great interview, Brooke! Cannot wait to read this book, it's pretty much a guarantee I'll love it and I can't wait to read a male POV again :) Lisa sure does great covers! She really does awesome covers. And the book is FABULOUS! I'm so looking forward to reading Breaking Glass. I don't have time to read Shards right now (writing to do, deadlines to meet), but I shall defo be back to study it in greater detail, as the vibrancy of it is just stunning. Julie, I think you're really gonna enjoy this one. It's intriguing and different and just all around good. I love Lisa's writing. She really pulls you into her main character. Really, I was right there with him! 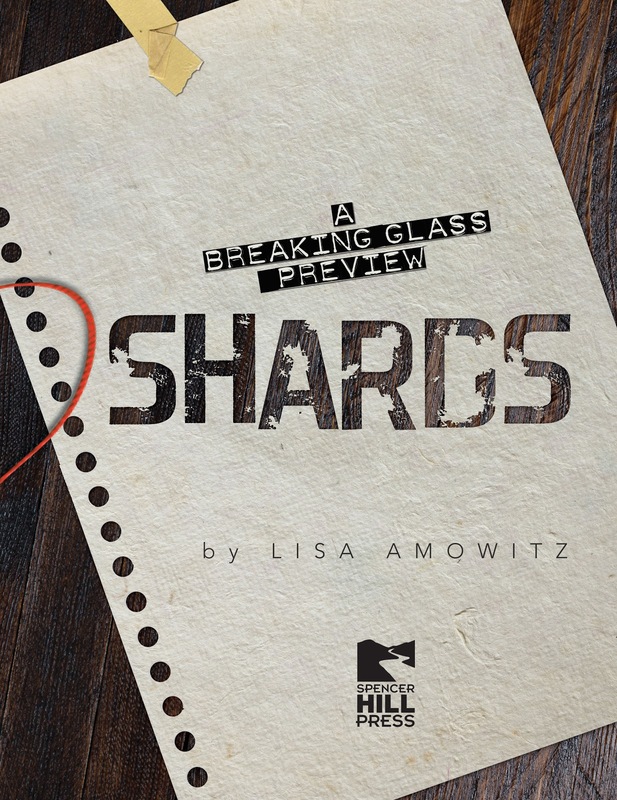 Love SHARDS. LOVE the artwork in it ... gorgeous! Can't wait for the book! Shards is AWESOME! Lisa is really amazing! Thanks for stopping by! Lisa is really great! Thanks for stopping by Michelle! So excited for Lisa!!! I can't WAIT to read this book. Looking forward to it!!! Thank you for sharing!!! Looks like a really great book Can't wait to start reading it..Thanks for sharing it with all of us!! It's very exciting and such a great book. Looks really good! I haven't read this series, but I think I need to check it out! Thanks for the giveaway! Can I just tell you how excited I am for you?? Super congrats! Im so excited! I cant wait!!!!!!! I really am waiting to read this book with such anticipation. I hope I win it, because that would be even sweater. These are the type of books I love reading, so I am looking forward to this one! This sounds so good! Can't wait to read it! I wonder what'll happen to Jeremy! Thanks again, Brooke. You rock!